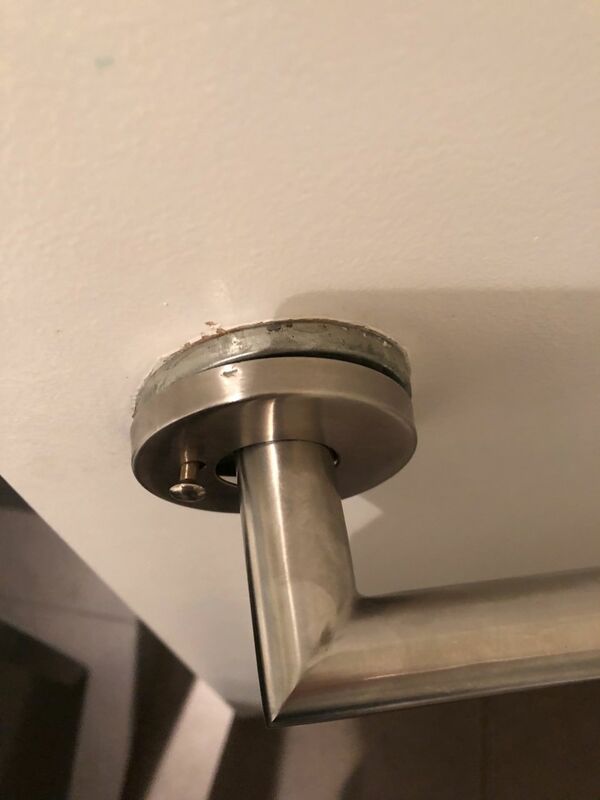 How to reattach door handle cover? I have a number of doors with loose covers like this. I can see there is a little groove, but I have no idea how to make it fit snug. Any advice is greatly appreciated! Hello Walle, and welcome to the Community! The cover has a dimple, that dimple should fit a groove on the part the cover is fitting over, try using a rubber mallet to gently tap the cover back on. I can put the cover on no problem with my hands, but it is not tight. Are you suggesting I try to make it a little tighter by using a rubber mallet before putting it back on? I'm not sure why it's not tight, you could put a little tape on the portion that the cover is going over to add a bit of thickness, this should take away any slack or looseness.. If the cover fits but is loose, a rubber mallet is not needed, you just need to fill the void with tape, glue would work too but it might be messy as you put the cover on and it might be hard to remove the cover when you want too.